Tarek Fatah in his own words is "an Indian born in Pakistan who is a Canadian citizen". He is a Canadian writer, broadcaster and a secular Muslim anti-Islamist activist. He was associated with the left movement of Pakistan and has the dubious honour of being jailed by every dictator of Pakistan, from Ayub to Zia. He was compelled to leave Pakistan and finally ended up in Canada, which he adopted as his "Karambhumi". He is one of the few Muslims who are fighting Islamists at the frontline for secularism, democracy and liberty. His two books deserve more limelight in India then they have received. 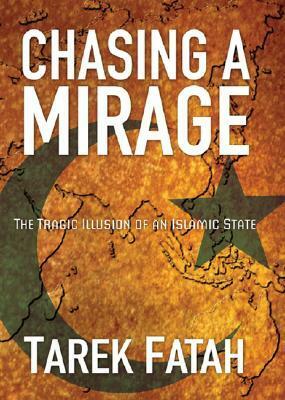 First is the " Chasing the Mirage: The Tragic Illusion of an Islamic State". The book traces the political dynamics and the interwinding of the religion since the early days of the Islamic world. It deconstructs the much romanticised notion of an "Islamic nation", Caliphate and Islamic state. 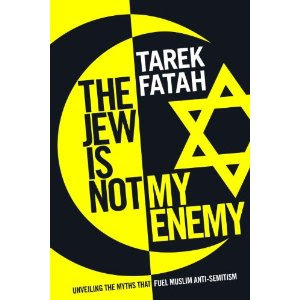 In fact, so powerful is the work that Tarek has become the hate figure of Islamists and the book was dropped by its Indian publisher after the first print citing potential for communal disharmony! Unveiling the Myths that fuel anti-Semitism" takes on the demonization of the Jews in the Muslim world. He is also a columnist and a regular appearance on the talk shows on Islam and Islamism. At the age of 63, he is on his first visit to India with his wife. In his own admission, he feels like coming back to his "Janambhumi". He is here to do the research on the his upcoming book " Jinnah's Orphans" which traces the many of the problems facing the Indian sub-continent- political, social or religious- to the Muslim separatism of the last century. Be it Kashmir, Pakistan, ongoing decimation of the Indian civilization including Indo-Islamic culture, stateless Bihari Muslims in Bangladesh, genocide of Balouch and Shias, purging of the local cultures of Sindh and Punjab due to Urdu supremacism, rising Islamic extremism and fascism, all can be traced back to the Muslim separatism and the dream to create Islamic supremacy in India. He was invited by Jamia Millia Islamia, Delhi to deliver a lecture in the shamelessly named "Yasser Arafat" hall on 11th April, 2013. But his talk was cancelled at the last moment due to "unavoidable reasons". The story is that gang of several Islamofascist students had threatened to disrupt the speech. Also, many of the Islamic "academics" also had reservations about allowing a "Secular Muslim" to speak in what Tarek has aptly called "Mini-Pakistan" in Delhi. As expected, the usual statement deploring the "unfortunate incident" by liberal and academic establishment was not heard who are otherwise quick to breath fire on almost any issue anywhere in the world. No left activists, organisations like Sahmat and others, no alumni association, no liberal group has come forward to defend Tarek's right to speak and student's right to listen him. But fortunately, the whole incident has once again brought to light the rising power of the Islamofascism in India. This is not an isolated incident but comes in the backdrop of monthly communal riots in U.P, ethnic cleansing of tribals by illegal Muslim Bangladeshi settlers in the North-East, Owaisi's speech in Hyderabad, violence in Azad Maidan in Mumbai, vandalism of Buddha's statue in Lucknow to protest for Rohingya Muslims in Myanmar and banning of films, plays and exhibitions even remotely critical of Islam or even Muslim extremists. It seems that today, Muslims are the only religious group, who are totally incapable of listening to any criticism, not only of Islam but anything related to the Islamic history and polity. They protest if you criticise Ghaznavi and Aurangzeb, they defend the Islamic Imperialism by citing "benefits" it brought in the form of Taj Mahal! Imagine Indian Christians springing to a fight if you call British foreigners and plunderers! And at the same time, Muslims don't think twice before criticising the others and their religion & society even to the point of demagoguery, not only Zakir Naik, Owaisi and the cheering crowds but the Muslim academics, journalists too. Why do Muslims suffer from such extreme self-righteousness and supremacism is a curious question in itself? Why such a naked double standard and hostility towards non- Islamic people and cultures? The reasons must be explored in the depth if one wishes to understand and rectify it. Otherwise strains of fascism will assert themselves again and again like they did in 1947 India, in 1990 Kashmir or today in what is left of India. First reason is the very philosophical nature of Abrahmic religions. The messianic religions wedded to the prophetic cult of one true God and only one true path are behind the most of the horrors inflicted upon the humanity in recorded history. By their very nature they are not about simply believing in one supreme power, as it is claimed, but in an idea of God which mandates the belief in prophets, book of the God, God-made rules for humans to order their social and political life etc. The claim of believing only in God is only so much true. This belief in God-made social and political laws leads to attempts to impose the true interpretations of the true book of the true God which in history has led to nothing but wars, death and destruction of entire civilizations and regression of scientific and rational thoughts. It must be understood that intolerance towards what is considered heresy or kufr, Inquisition and Jihadi vandalism, like in Timbuktu or Bamiyan are not an aberration but a zealous expression of the Abrahamic monotheism. From the belief that God is infallible, to that his book is infallible, to that his prophet is infallible, to that his religion is infallible, and to that followers of that God's religion are infallible is but a short step. Second reason goes back to the earliest history of Islam itself. Within a very short period early Muslim Arabs had carved out a huge Empire for themselves. The tribal fierceness, unity provided by zeal of the newfound expansionist religion, capable charismatic leaders and other geo-strategic reasons ensured that Muslims emerged victorious in their assaults on established powers of Iran, Byzantine Middle-East and others. Egypt, Syria, Berber states, Iran etc fell with ease to the forces of Islamic Imperialism. Ultimately, this victorious march was halted in southern France in the west, desert in the South, Byzantium in the north and Battle of Rajasthan in the east. But the early victories had affirmed in the collective consciousness of the Muslims that these victories were due to their faith and steadfastness on the God's true religion. Sovereignty belongs to Allah and he chooses followers of his rightful religion to rule and establish his divine order in the world. The halt was temporary as the victorious march of imperialism began with new vigour in 12th century. The Indian lines were breached by the Turks who succeeded in establishing the Delhi Sultanate and at the same time Turks were increasingly successful in rolling back the power of Byzantium which culminated in the conquest of the Constantinople in 1453. Islamic Imperialism was the order of the day and even Europe cowered under the shadow of "Sword of Islam" until late 17th century. In India, the early Muslim period was that of wholesale death and destruction, brutal repression and religious persecution. Buddhism was all but wiped out from Bamiyan to Bengal. The depopulation of the older urban centres and founding of new settlers colonies was an important feature of this period. All this imbued the ruling upper-caste Muslims with an unshakable sense of superiority over the dark skinned coward Hindus who could be crushed at will. This indeed was true until 14th century when Vijaynagar and Rajput confederacy under Rana Sanga began to reverse the fortunes. The game began to change by 18th century, Marathas and Sikhs decisively broke the power of the Imperialism in India and European states were embarking on their own Imperial endeavours, routing the forces of the Islamic Imperialism wherever they went. It may be lost to the people cheering likes of Owaisi that Muslims have suffered defeat after defeat whenever they met the "Hindu Baniya" in the battlefield in the last three centuries. Battle of Panipat, 1761, was an aberration and anyway from 1771, the Saffron flag of Marathas unfurled over Red Fort (Mughal Emperor ruled under Maratha protection) while Afghans were thrown out of the equation after the war. But still the myth of invincibility and bravado remains among a large section of the Muslims of the sub-continent especially among Jihadist and Armed corps of the Pakistani army. The false sense of being the rulers for a thousand years is deeply entrenched and gives rise of intense contempt for the pagan Hindus. Third factor has to do with the social structure of the Muslim society. It is not usually acknowledged that Muslim rule on India was the Imperial rule of the foreign dynasties entrenched in the urban centres like Delhi. Turani, Irani, Mughlani had all the powers concentrated in their hands with some crumbs thrown for the Hindustani nobility. The ruling feudal upper-caste Muslims were the ones who were hit hardest by the eclipse of the Islamic Imperialism. It was hard enough to be under the heels of the British but it was abhorrent to see the "dark skinned Hindus" returning to the power. In fact, genesis of the Muslim separatism and Pakistan goes back to the early 18th century. Besieged by the Marathas in the Deccan, rising British power in Bengal, Sikhs on the North-East and "Kafir Shia" Iran in the West, the landed gentry of the upper-caste Muslims were later horrified by the idea of the democracy in the non-Muslim majority India. This complex interplay of the superiority complex, fear and now inferiority complex of being out of power has resulted in the sulking of the entire community. Add to this the massive undercurrents of the assertion of rights and pride by the Pasmanda Muslims and one have the upper-caste Muslim elites running for the cover of religion. This is the class to which likes of Owaisi belongs. It is a last ditched attempt to safeguard the old power and privilege by whipping up the religious passion and uniting Muslim population by raising that eternal cry of "Islam in Danger". Otherwise it is clear that forces of democracy and modernisation will sweep the old guard including Mullahs and Maulavis off their feet. Therefore, it is necessary to shield the Muslims masses from any rational discourse on religion, history & politics and keep perpetuating the myths of glories of past and blaming others for their misfortune. How on the earth, then, can persons like Tarek Fatah be allowed to speak? Also, the collapse of their imperial glory has left the Muslims perplexed. Why are they behind dis-believers in each and every aspect? How come God's true followers are being defeated by the kafirs everywhere? Has God abandoned them? But why? Surely, Muslims are best of the people and if they are falling behind others then it certainly must be wickedness and treachery of dis-believers, that Hindu Baniya and eternal Jew, which has robbed them of their rightful place in the world! The superiority complex and self-righteousness has prevented them from any rational examination of their faults. Certainly, people who are on the right path by following the true religion can do no wrong! So, it must be the wickedness of the others, which has succeeded because Muslims have strayed from the true message of Islam. Hence, there is an upsurge of the revivalist and puritan movements in the Islamic world. The increasing conservatism, textual orthodoxy and desire to establish the seventh century laws to find that right path which once propelled them to the top of the power pyramid is all too visible. It can be seen even in the relatively moderate Muslim communities of India, Indonesia, and Turkey etc. It has led to the remarkable increase in the intolerance towards non-Muslims and secular/liberal Muslims. Any criticism of Islam or Islamic world or personalities immediately incites huge protests and violence. Muslims, even educated ones, are increasingly becoming "touch me not" type, who are quick to anger and prone to threats of violence if they disagree with anyone on matters even remotely related to Islam. That is why people like Tarek Fatah are treated with such hostility as they deconstruct the dominant narrative of the Islamic world which glorifies imperialism and conquests and harbours sympathy with terrorist groups like Taliban. Also, intolerance towards non-Muslims is reaching the boiling point, be it in Europe or India or the Muslim countries themselves. Only recently, The Hindu reported that Muslims are objecting to the Hindu festivals in the villages where they are in majority, case of Islamisation of Kerala is all too well known to be repeated here. The No-Go Sharia zones are mushrooming in Europe at an alarming rate with the majority of the second generation Muslims wanting sharia to be imposed on the secular democratic countries of their residence. None of this is a good indication for the future of both Muslims and non-Muslims alike. But what is more surprising is that Left has abandoned whatever wisdom it had to become the running dog of Islamic Imperialism. It has abandoned the protesters at the Shahbag Square in Bangladesh, tribals of the North-East, its fellow leftist in Iran, Egypt, North Africa, ex-Muslim writers like Taslima, Rushdie etc., it has sided with the Islamofascist of Kashmir, Jamaat-e-Islami, with theocracy of Iran , terrorist groups like Hamas and "understands where the Taliban is coming from"! It is quick to defend the Islamofascists by labeling any criticism as Islamophobic, racist, communal and fascist! Not surprising given that it was the communists who had provided sophisticated arguments to the Muslim League by converting the communal demand for Pakistan into a struggle between Muslim peasantry and Hindu zamindars. It was the communists who sided with the Islamofascists during the Islamic Revolution in Iran, 1979. In both cases they paid a heavy price as they were the first to be eradicated, both in Iran and Pakistan. But still it seems that they have not learnt any lessons from history. I don't think that they side with Islamists simply because of the old dictum of the enemy of the enemy being a friend. I think that the rot runs much deeper but this is not the place to elaborate on it. What matters is that Jamia Millia incident has once again exposed the alarming rate with which forces of fascism are taking hold in the country and how they are being greeted by the deafening silence.